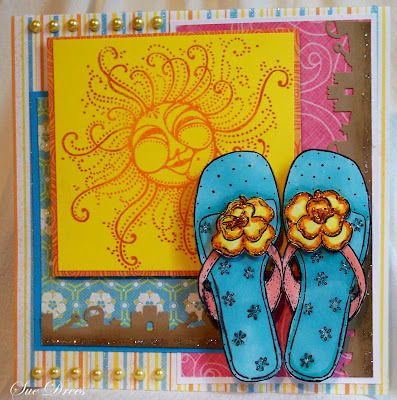 Hi, I received some sunshine in the mail the other day from my friend Cathy in Arizona in the form of this cute Flip Flops stamp from Impression Obsessions. There was a lot of other stuff in the Box too, for another time, thanks Cathy for everything! 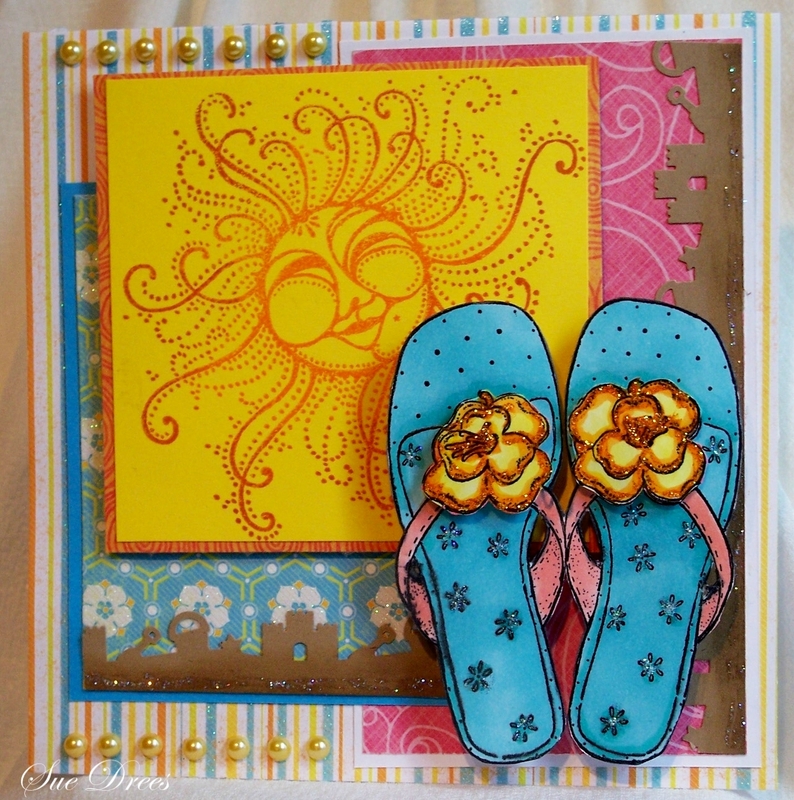 what a great and colorful card sue. 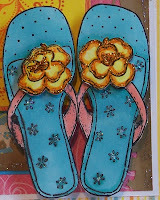 the flip flops are looking great. 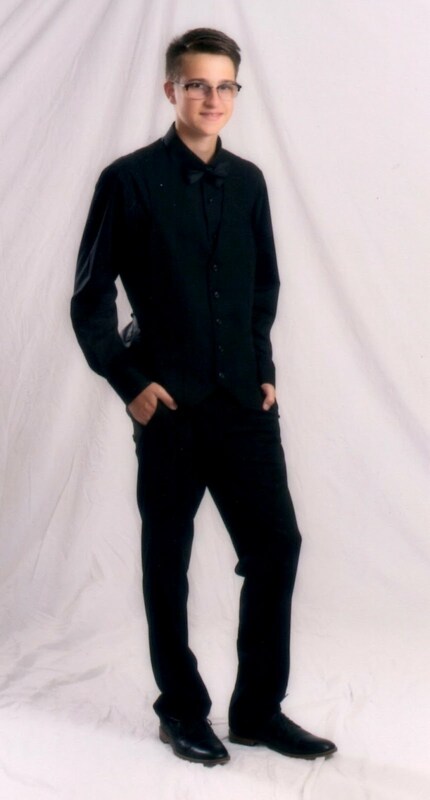 HI Sue, Well now I ready to head out to the beach. 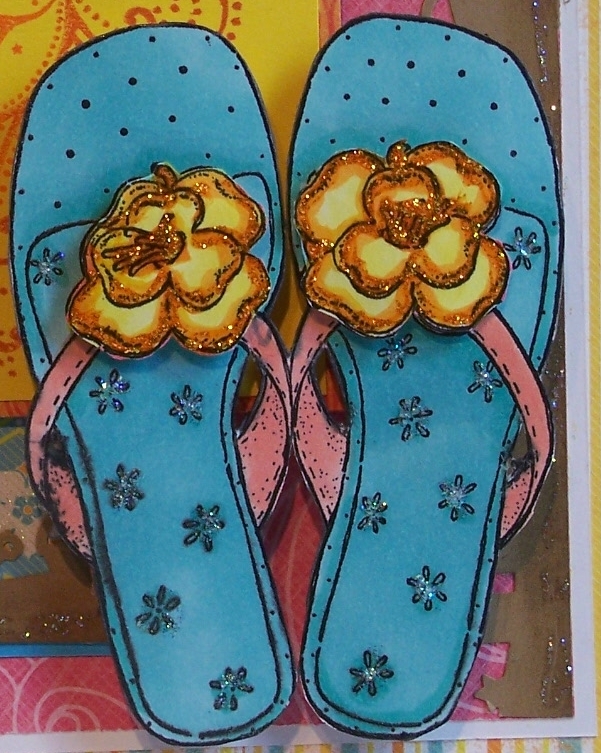 These flip flops are a great image and your whole card is so nice and bright. Have a nice weekend. FAB summery feel here. Love the bright colors.